Axiom offers a multitude of environmental seminars for both private and public clients throughout New England. 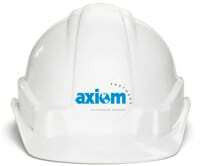 Axiom has designed one-hour to two-day seminars and training courses designed to ensure workers learn safe and proper work practices and develop desirable attitudes towards safety. These courses are based on the analysis of individual jobs and the identification of hazards, and are specifically tailored to meet the needs of individual organizations. In addition, seminars may offer continuing education credits for certain individuals who qualify. Please contact Axiom for more information.